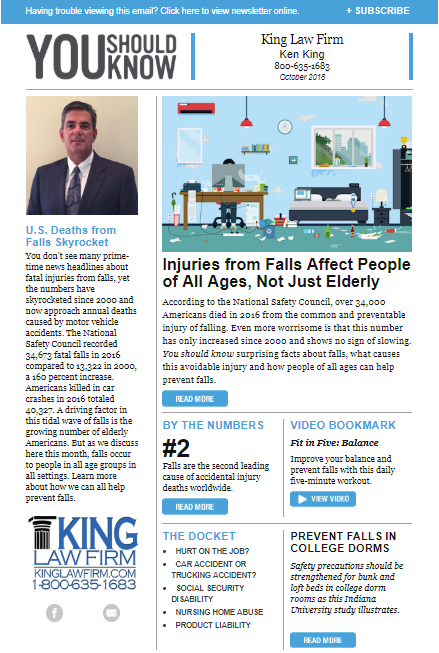 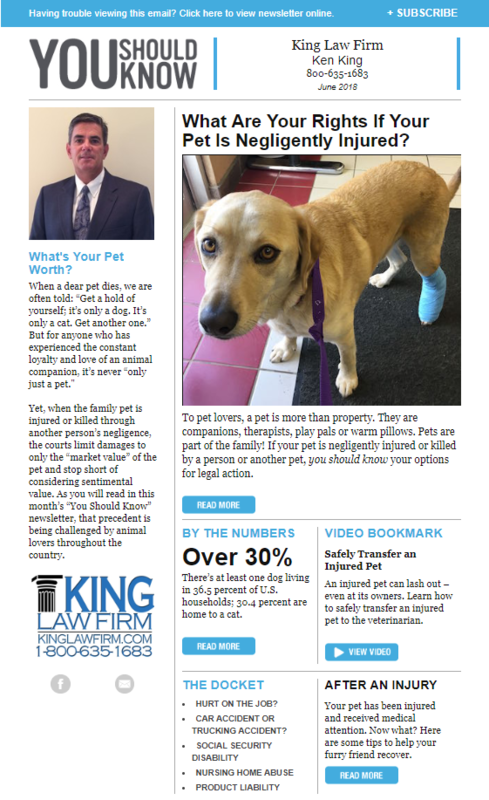 Our Jacksonville personal injury lawyers at King Law Firm are highly skilled, extensively experienced, and ready to help you with all your legal needs. 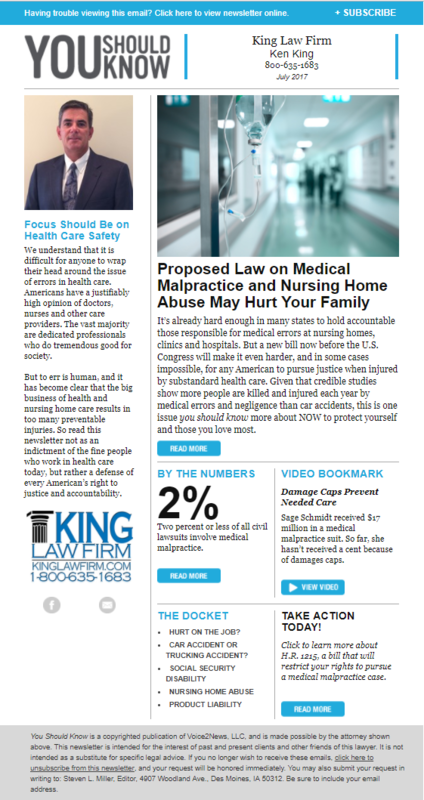 If you or someone you love has been injured or died in an accident caused by someone else’s negligence, we can help you get the compensation you deserve. 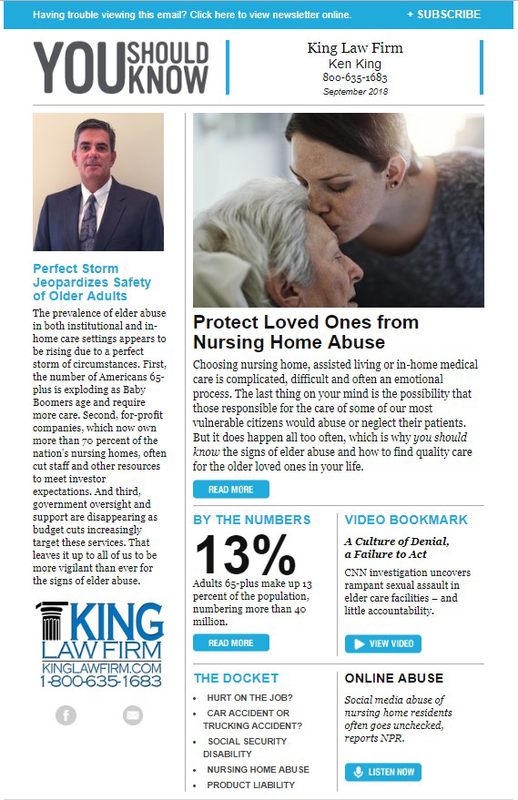 We have helped countless people just like you receive financial restitution, allowing many of them to live healthy and independent lives. 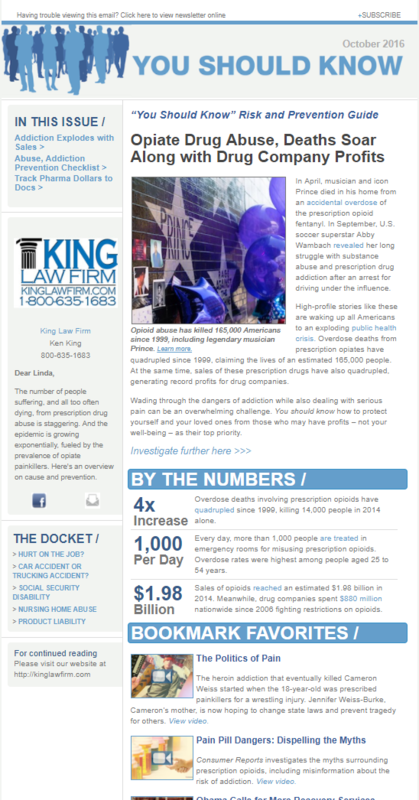 To date, we have recovered over 25 million dollars for our clients in both verdicts and settlements. 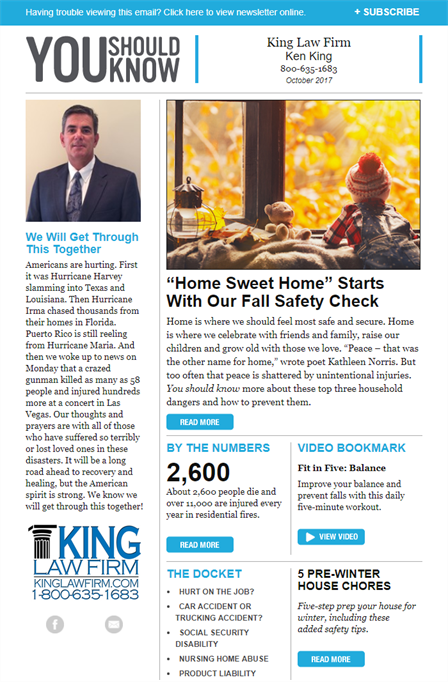 We can help you too. 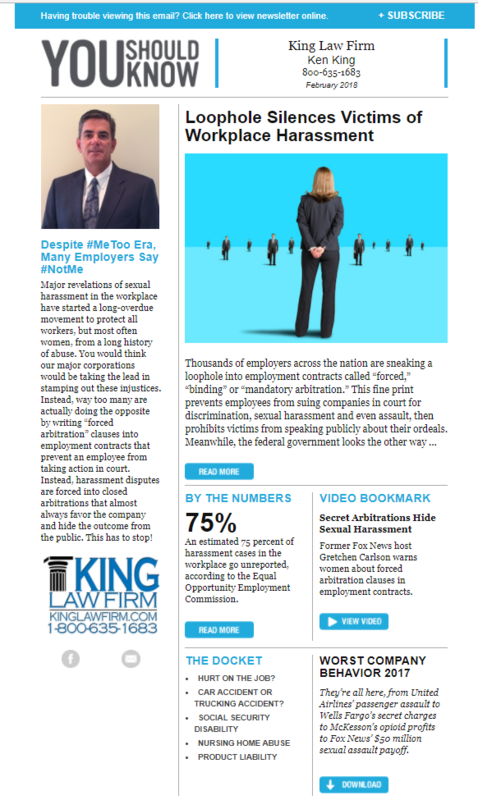 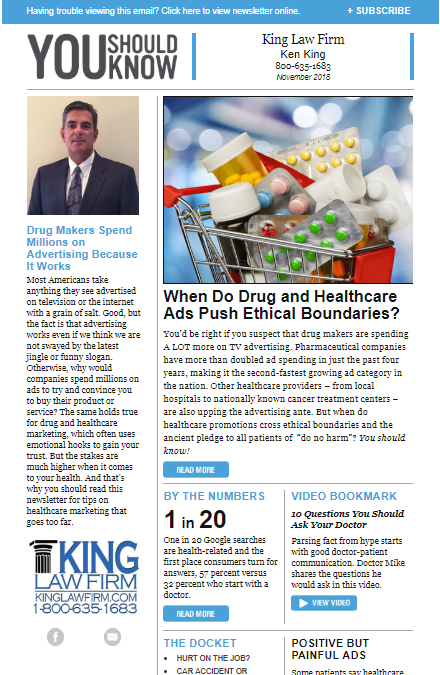 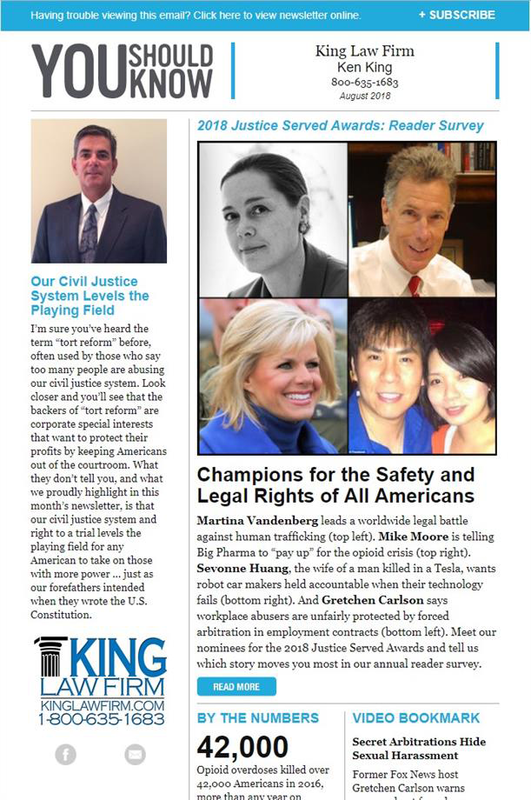 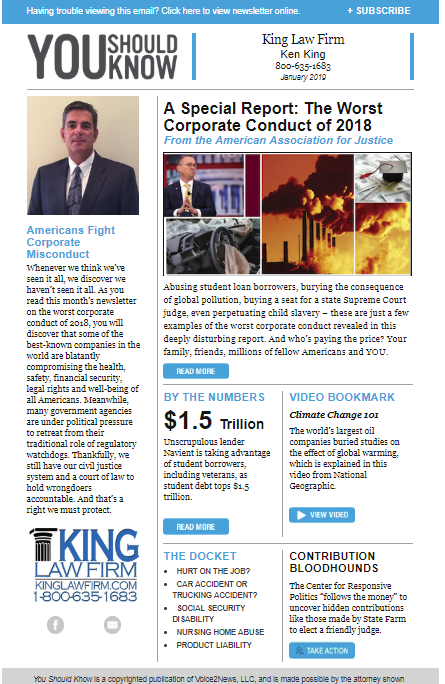 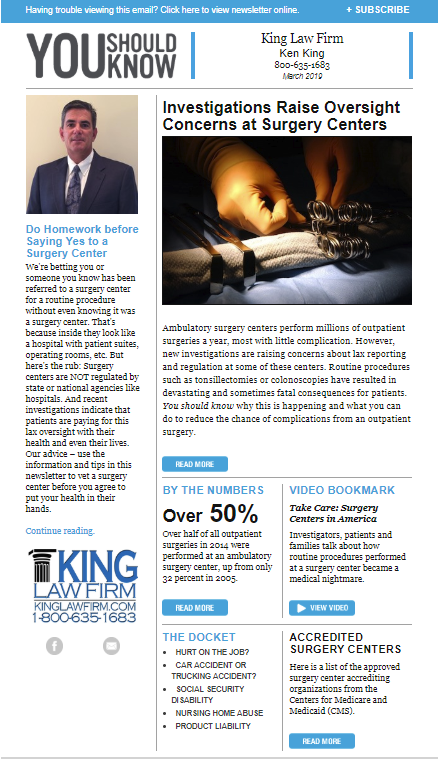 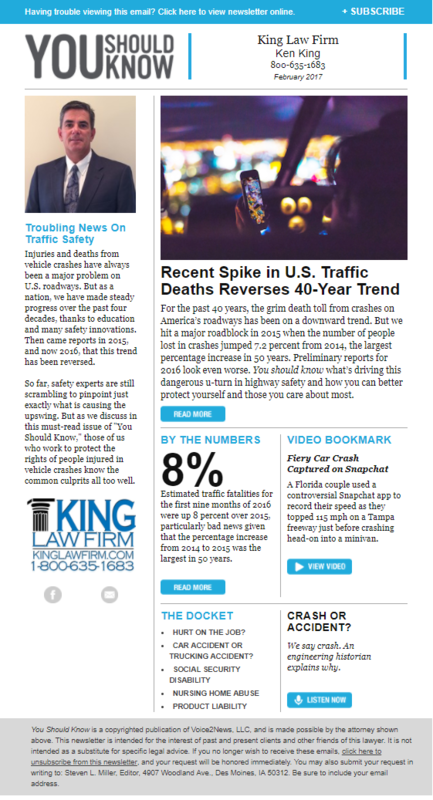 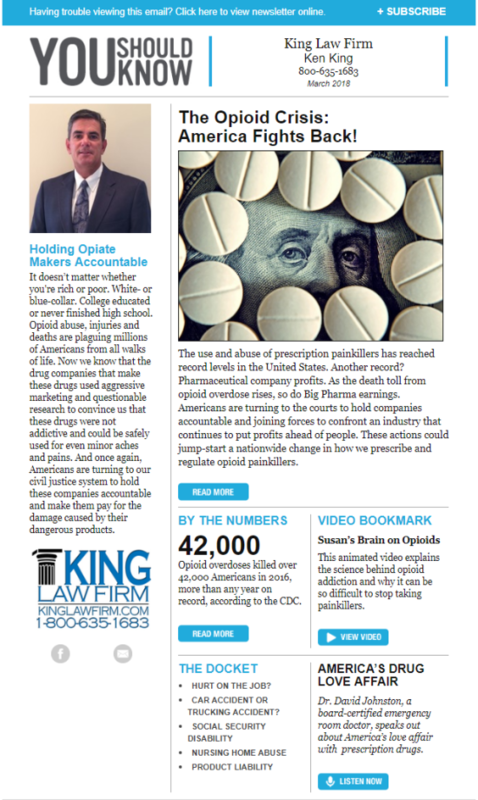 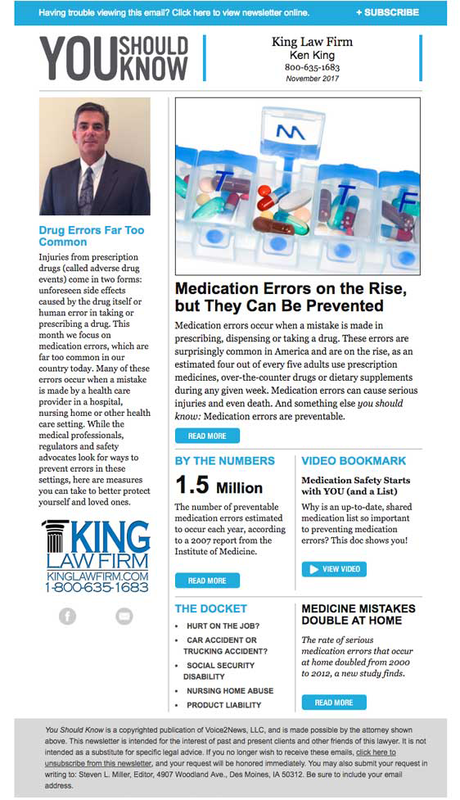 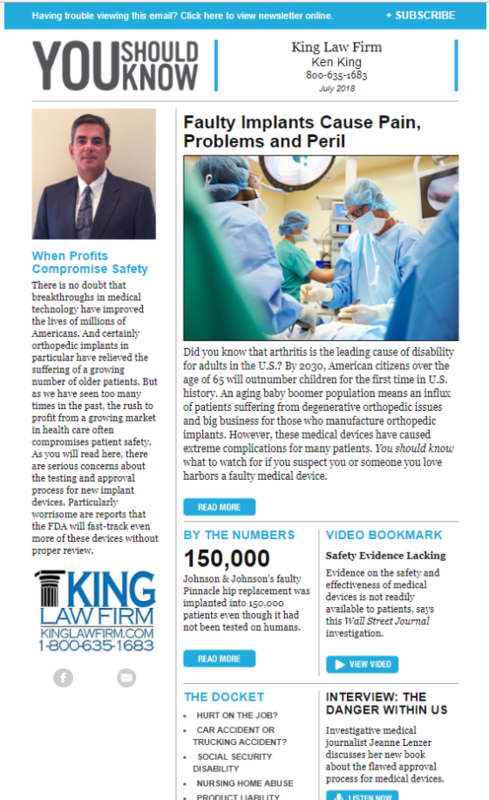 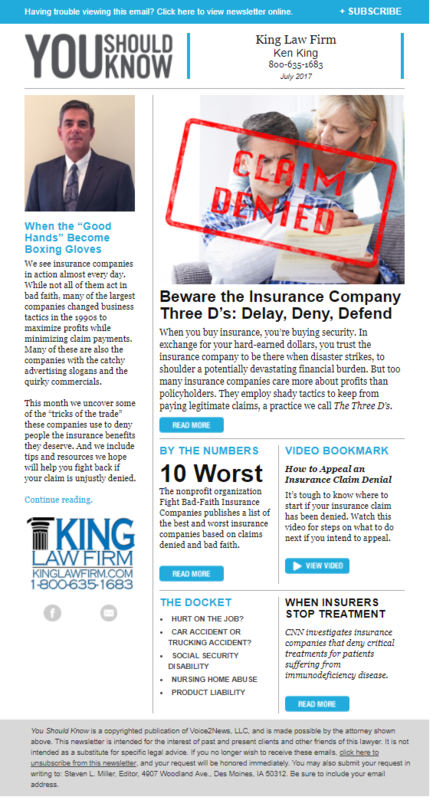 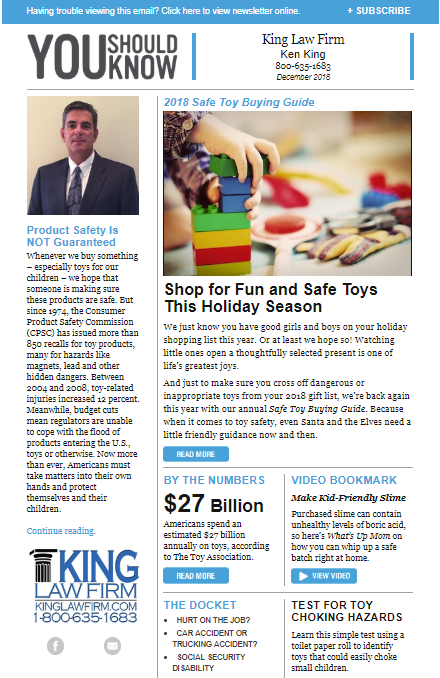 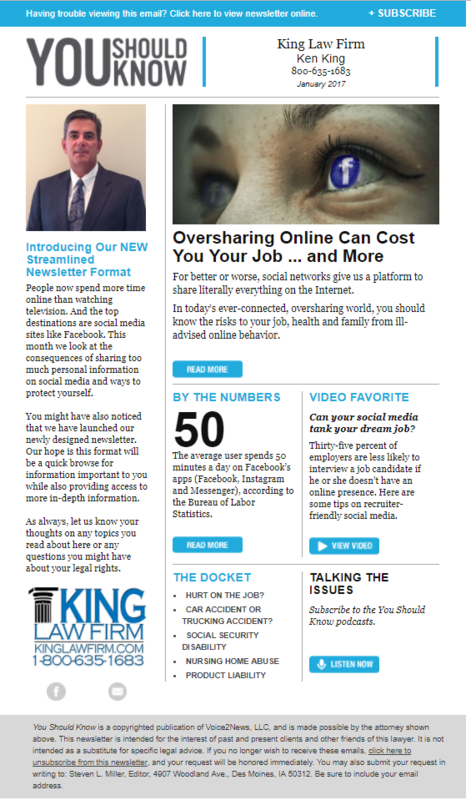 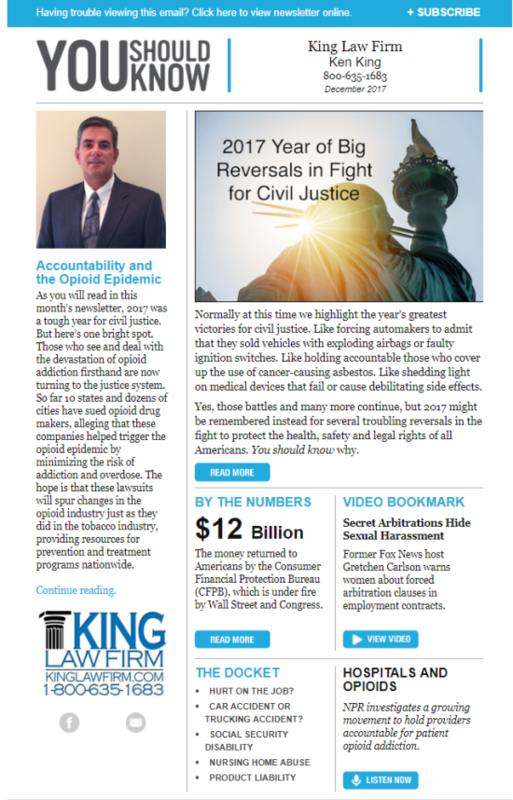 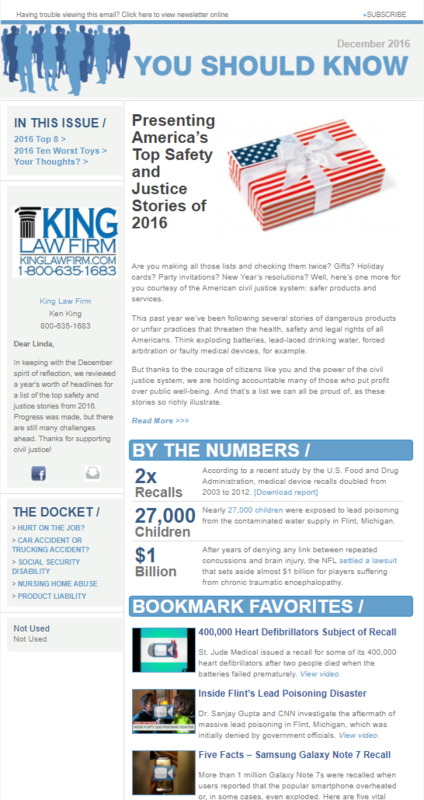 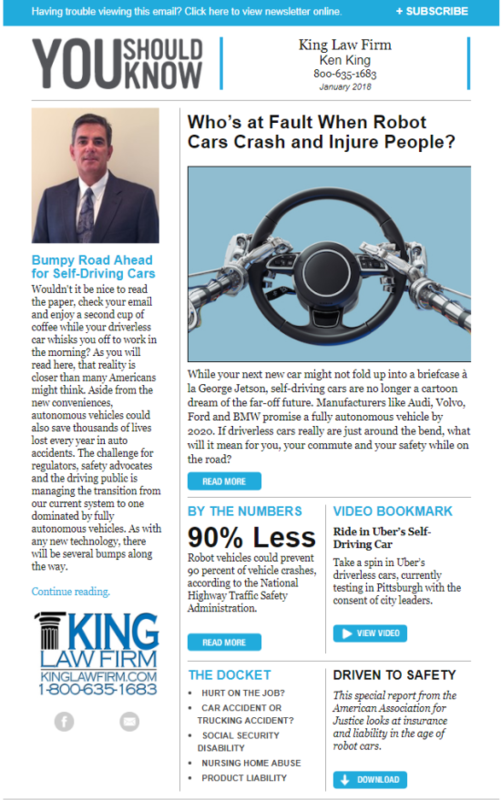 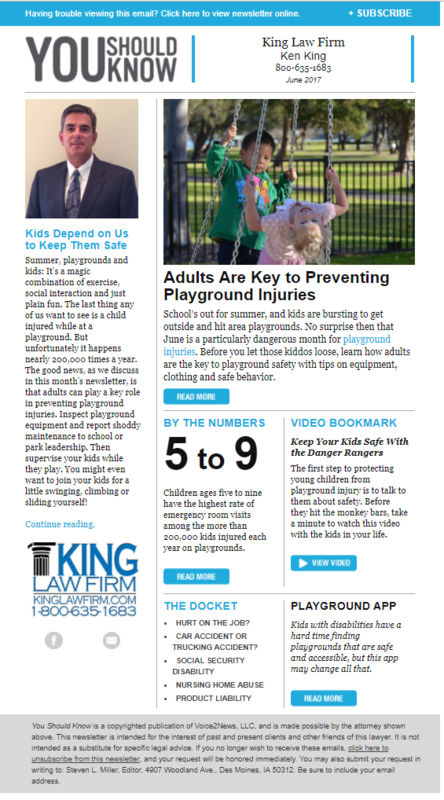 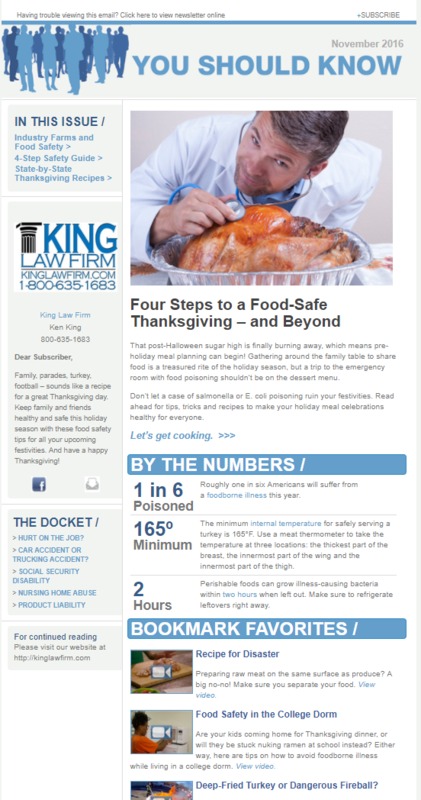 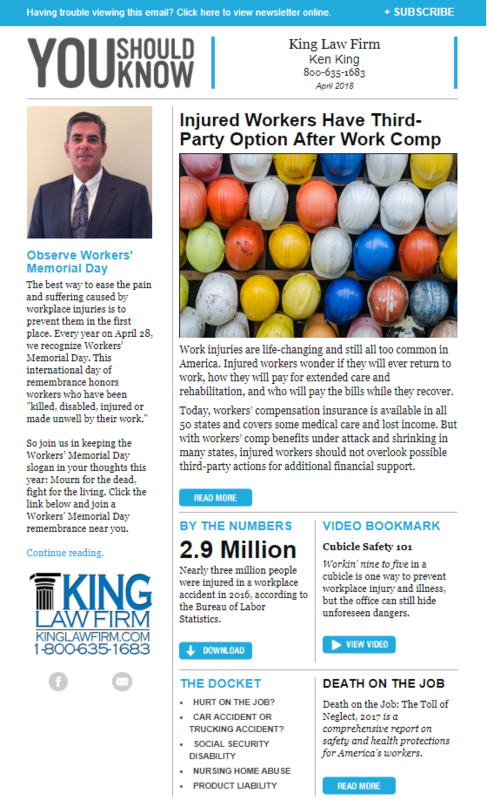 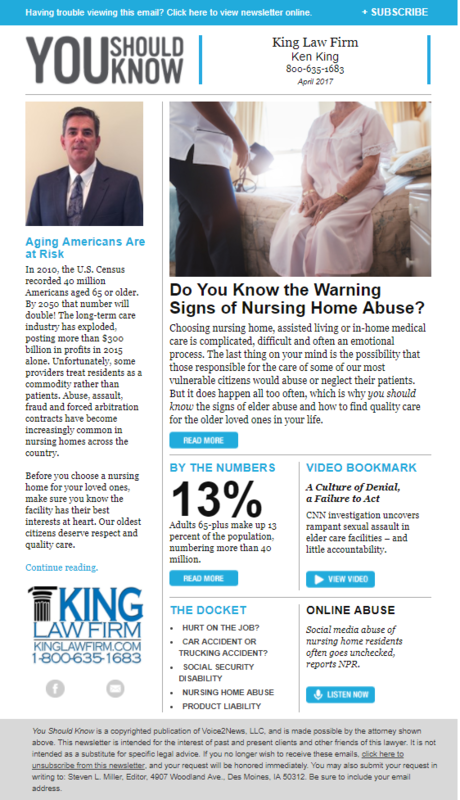 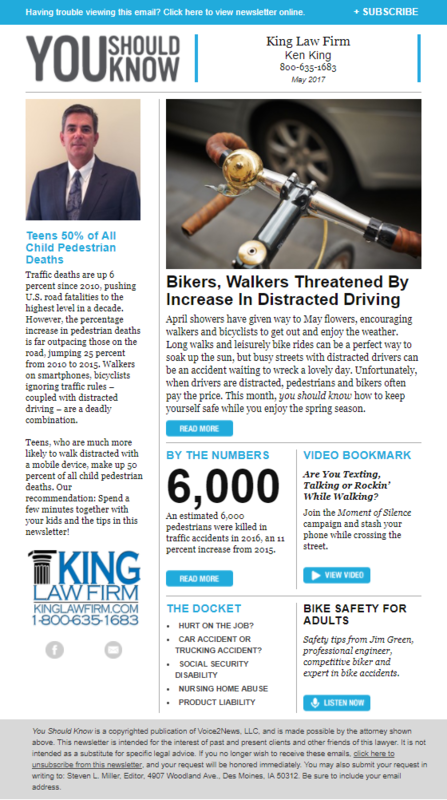 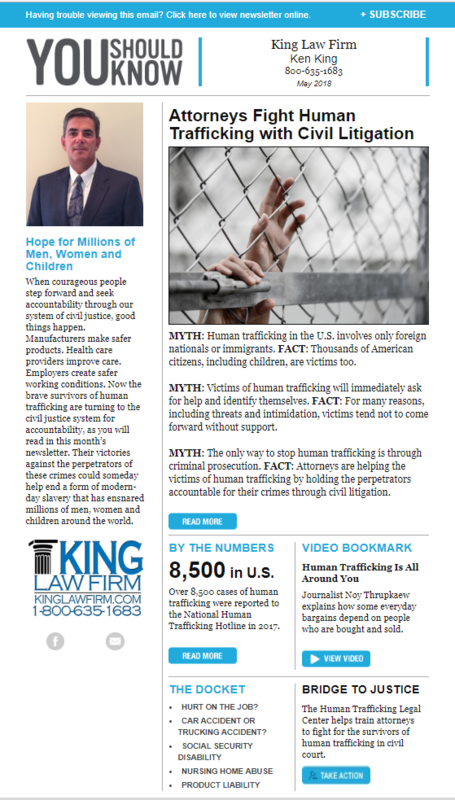 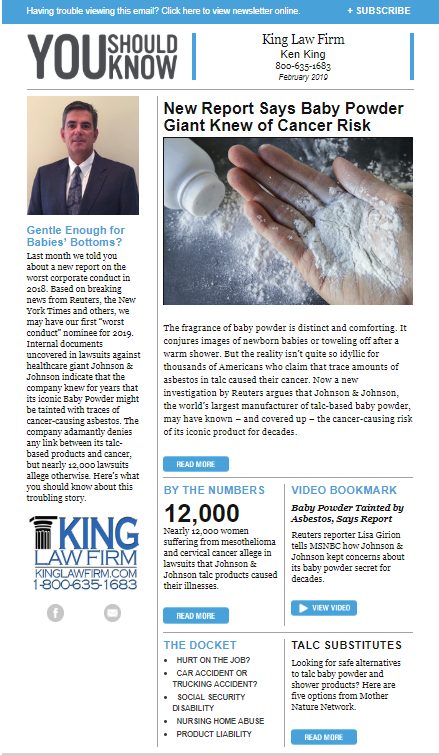 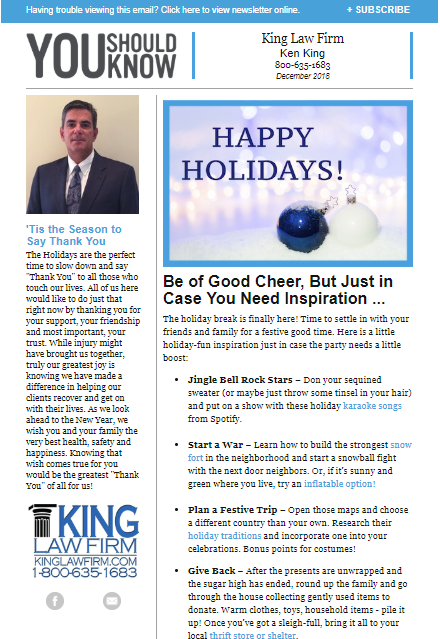 To learn more about our lawyers, services, and the ways in which we serve our clients, feel free to read our informative newsletter!